The holiday season is officially upon us, with many consumers beginning their quest for the perfect Christmas gift and some have already made their first gift purchases. With this mind, it is extremely important that retail brands begin creating and implementing their Christmas plans and really many should have already taken this step, considering that their target audiences have commenced their festive shopping. If you are finding this a struggle, then fear not as help is at hand! Google have recently sent out their research on creating effective affiliate offerings over the Christmas period and many of these principles can be transferred to all areas for any retail brands or agencies managing accounts for them. First of all, it is vital to understand the consumer decision making process and most importantly when and where they make their decisions. Unsurprisingly Saturday is the busiest day in terms of high street footfall, but many consumers have stopped making impulse decisions on these trips and now, according to Google’s research, Sunday is the day when they begin conducting online research into the products they have seen the previous day. This combination of physical and online research over the weekend has meant that Mondays have become a key day for purchasing gifts, with a number of “Mega Mondays” taking place each week in December prior to Christmas. Then of course the sales begin on Boxing Day and the sheer volume of online traffic make this day they busiest of the year, which is a key consideration when determining the length of your festive strategy. Christmas is an extremely competitive period and this has become even more apparent with the rise in internet shopping, with retail search growing consecutively over the past 3 years. Therefore it is vital that your ads and landing pages are both relevant and accurate, as it has never been easier for potential customers to defect. So the key question is how you can use this insight to create a better strategy on your affiliate network this Christmas, also considering how to improve your overall strategy to improve results. Google’s research revealed that 48% of consumers would not have made a purchase if they didn’t have a voucher, whilst 47% would have defected if free delivery had not been offer. Therefore it is vital that you develop some form of money-saving promotion for the festive season, as value is obviously a key influencer in purchase decisions. This may also help you to attract late shoppers, who begin searching during the week prior to Christmas and search for terms such as “deals” and “gift cards”. 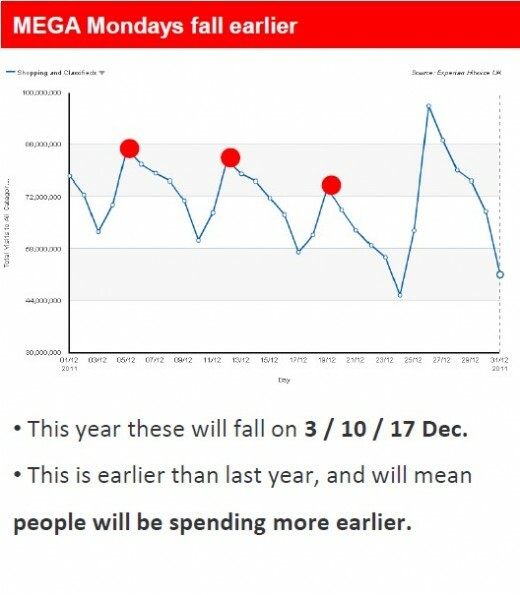 Other areas that will see the effectiveness of your seasonal strategy increase are raising your budget for this period, being creative and seasonal in your ads and working closely with your top 10 publishers.